Matsu Moriawase (RM28/USD9) – 14 pieces of sushi on a platter; a good introduction to how serious they are with their sushi. Two weeks on, and I am now at peace. Finally. Last weekend’s rally+road block+work was a killer combination; draining me out physically and mentally. Pardon the delay, but if you’re still kept in the dark, or avoiding Japanese food products like the plague, then here’s a post dedicated to you. Limited seating, but the private dining rooms, lighting, ornaments and artwork were all tastefully done. A cut above the rest in terms of ambience, I’d reckon. 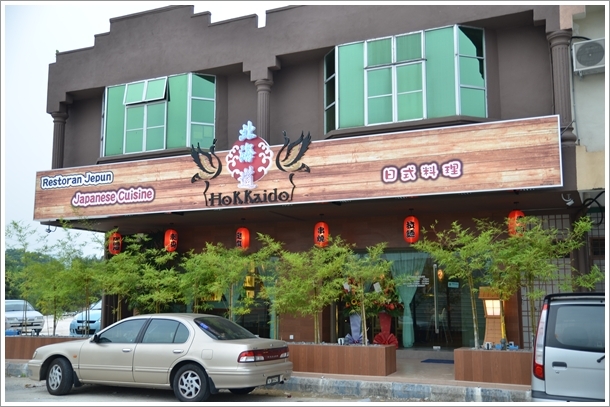 Hokkaido Japanese Cuisine opened its door to the Japanese cuisine-deprived (maybe not anymore) Ipoh food community sometime in June this year. Kizuna was deemed to be a trendsetter alright, rewriting the standards of Japanese cuisine in Ipoh close to half a decade ago. Then Akamomiji arrived at the scene, catering to night after night of full house situation. Now we have more than a dozen, and you would have thought that the March disaster in Japan would have a serious impact on the Japanese food scene in Malaysia. Initially, yes. But we Malaysians tend to forget (or neglect?) the petty matters, plus we do have full confidence in the government’s initiative to screen every food product imported from Japan. Don’t we? For a temporary period only (maybe already over, but do check with them). 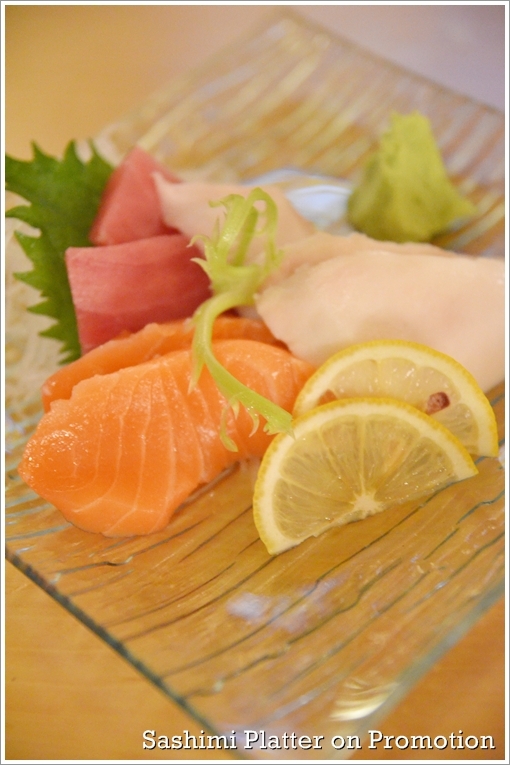 Sashimi promotion (RM38/USD13) for 9 slices of thick, succulent raw fishes. Salmon, butter fish and tuna (maguro). Stumped on where to go for dinner (yeah, months away from Ipoh, and I have already reached a food writer’s block … ) I vaguely remembered someone posted a review on Hokkaido Japanese Cuisine, and fans commented on the All About Ipoh FB page. Pretty lantern lamps hovering about the sushi counter. And no … the head is not on the menu. Or chopping board. I was quick to dismiss this as just another Akamomiji-Kizuna-Tomi wannabe. Yeah, I put on the skeptical mask this time, for usually (I don’t generalize, but can’t dismiss the odds) new restaurants don’t perform well in terms of service and/or food quality, and made me rethink my strategy next time a new eatery is in town. But being the opportunist glutton that I am, I was willing to take risk. Furthermore, this once-a-month bingeing session can only squeeze in so many meals before I explode and obliterated into pieces. 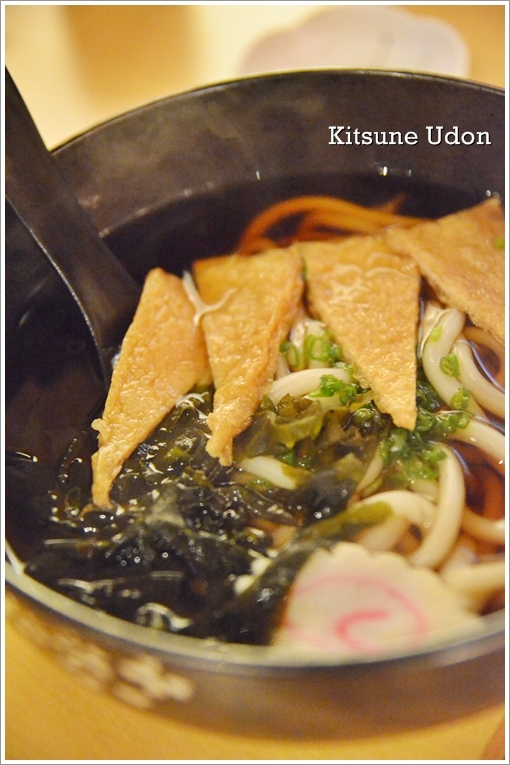 Kitsune Udon (RM12/USD4) – Nothing to shout about, being a good carbo supplementary to the mains and sides. 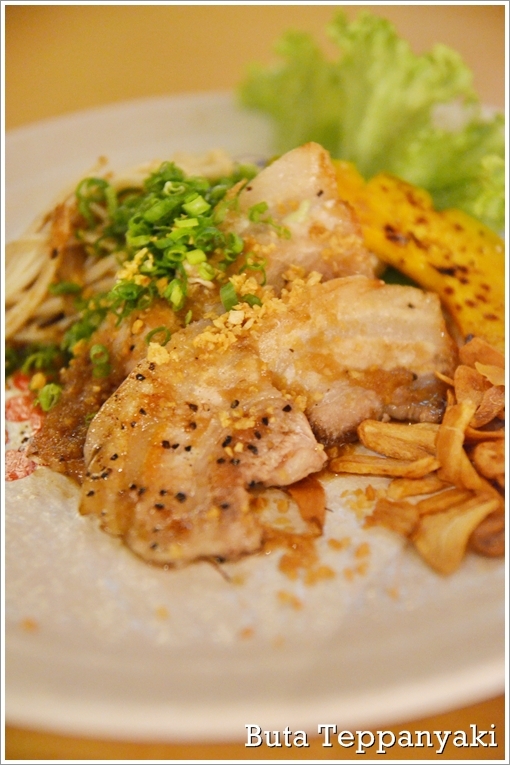 Buta Teppan (RM16/USD5) – Japanese restaurants should always have pork and sake on their menu. Period. Though very minimum portion (barely enough for one, let alone to be shared), the slices of beautifully proportioned (fat-lean ratio) pork belly were skilfully pan fried before served with a mess of sides; from crispy garlic flakes, roasted pumpkin and mushrooms to a handful of chopped scallions and a sprinkle of black sesame seeds on top. 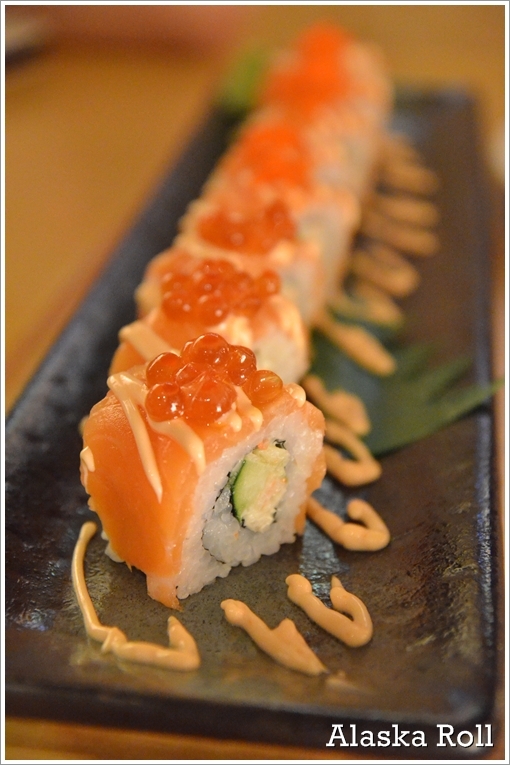 Alaska Roll (RM18/USD6) – Raw salmon (or was it smoked? Sorry, amnesiac me), fish roes, crabstick and cucumber roll, with a drizzle of piquant mayo. Not too bad, the portion was substantial and well worth the money. Potato Salad was a good complement to any Japanese feast, maybe because I love potatoes … and Mum used to make a good one with crunchy apples at home. The serving of mixed sushi (first pic) was a mix of hits and misses. The wedge of lemon on the salmon was almost uncalled for, but the tuna was not fresh. The thicker cuts for the sashimi platter too. But the butter fish was magnificent. Really buttery, fresh, firm and sliced to a bite-sized yet thick enough cut, this was clearly the winner. The salmon was … okay. Maybe the over-exposure to all things salmon (cooked and raw) got me a little bit jaded? You won’t see this unless you REALLY know where to look. Surprisingly. Read the directions at the end of the post. First impression? Good enough. Service was attentive and courteous. Only a slight hindrance in the form of prior reservations, since we arrived at about 6.30pm but all tables were already booked! Ended up they had to combine two smaller tables for the four of us. Bear in mind that the place cannot seat too large of a crowd, hence better call in advance. If not … you can still walk a short distance away to Mokuren, Tomi or Kizuna. This street and the vicinity should be renamed to Little Japan of Ipoh. Any feedback (positive/negative/neutral) from any of you? 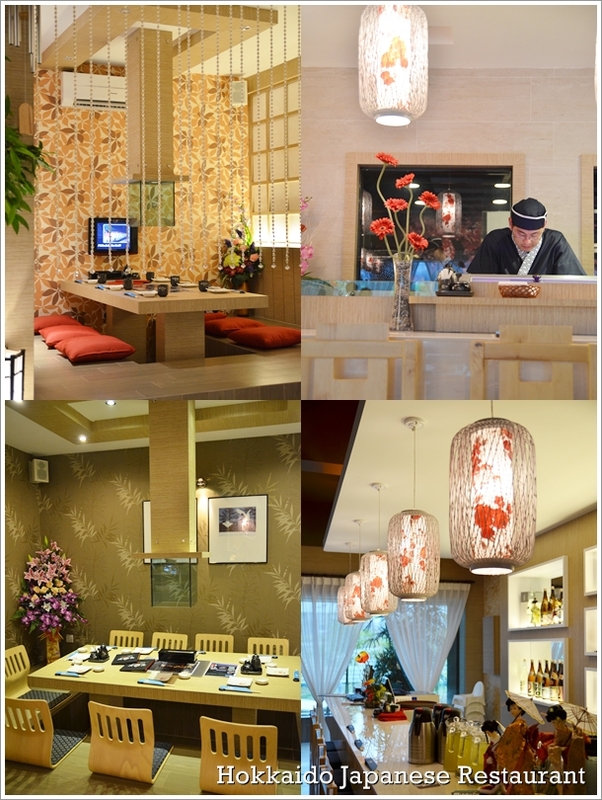 They also include various drinks and desserts in the menu; in particular some with green tea and milk-based beverages. Forgot to check whether they have Hokkaido’s soft-serve milk ice-cream … but would be a bonus if they do. Business Hours : Tues-Fri – 11.30am – 3.00pm, 6.30pm – 10.30pm. Sat, Sun & Public Holidays – 11.30am – 10.00pm. 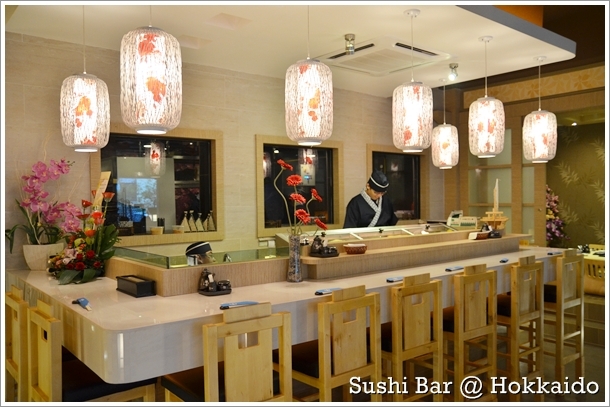 *For the FULL LIST of Ipoh Japanese Restaurants reviewed before; CLICK HERE. I probably sound like I’ve been living under a rock but I’ve never come across butter fish sashimi until being back in KL. Wonder if its a Malaysian special. Very tasty of course! Really? Hmm, but the fish has to be imported I presume. Can’t be a local butter fish …. at least that’s what I thought. the sushi roll looks good but the colour on the sashimi doesn’t look as vibrant as it should be. in any case, am pretty impress at the number of jap restaurants in ipoh! But anyway … yeah, though this was another run of the mill type of Jap restaurants in Ipoh. Comparing this to the other Japanese restaurants … oklah. Not exorbitant, yet was surprised by the pleasant and prompt service. Should have commented on the maguro that evening, but I let that slipped. Yeah, it would be cool to have Little Japan in Ipoh. Guess competition is very stiff among the contenders. Yeahlah … but still awaiting a niche outlet like purely RAMEN only and excel in that, or one on yakiniku, or one small sushi bar with nothing but raw stuff. Thanks Wen Ching! Haha …. at times, we just need to unwind and MAKAN. 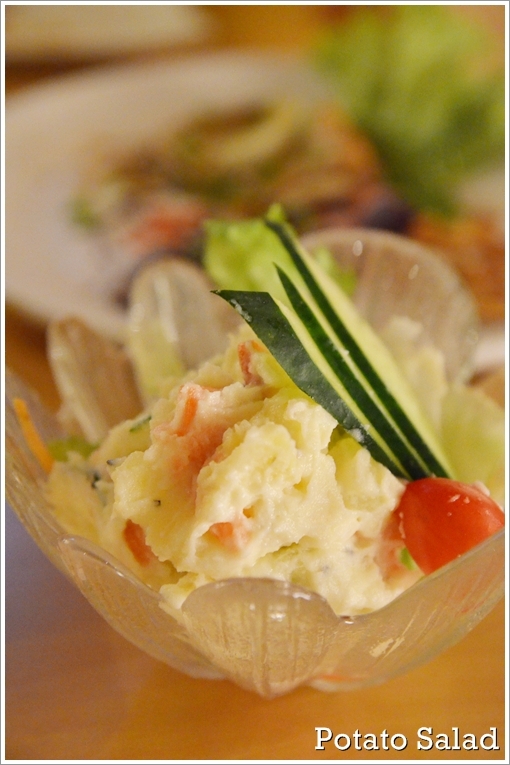 I wish to get a scoop of Potato salad right now!!! Unfair! Why wasn’t I ushered to one?!! Haha …. but it’s okay. We were just testing the waters, so to speak. Did not go all out and order away … but considering a revisit sometime soon. Tried there yesterday. 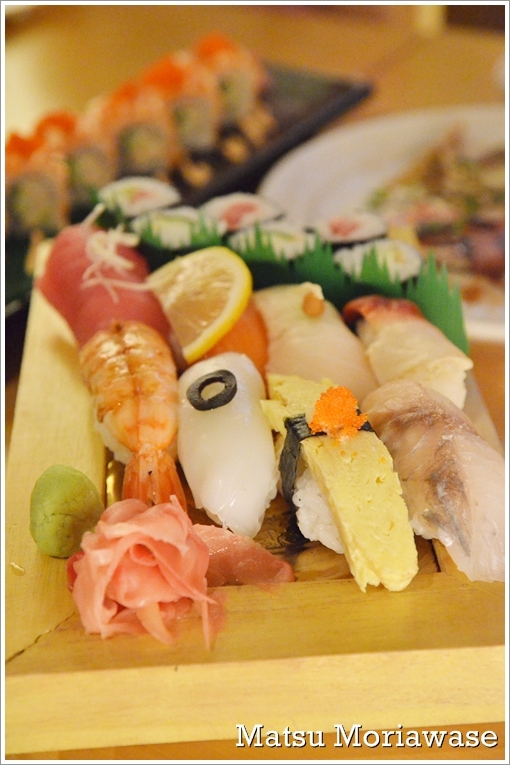 Overall their sashimi and sushi are excellent, with thick fresh cuts of fish. However, the unagi and tempura came out harder/tougher than usual, and the rice felt a bit off… tasted exactly like white rice from Chinese restaurants, without the vinegarish tinge. Price is costlier than usual, with normal bento sets mostly above RM30. Would come back again solely because of the sashimi alone. Went to this restaurant on 22nd dec 2012 for dinner after reading your positive review but was disappointed as the presentation and service are not at par with the KL Japanese restaurant for what we paid the same price. Can you imagine the edamame came not 1st dish as appetizer but came later after we received our 4th dish. There is not coordination of which food come first. They just bring what their food ready and rushed it to your table. Definitely not enough staff to give good service. Presentation of dish are lousy. I definitely will not recommend or come again unless they improve their service and presentation.